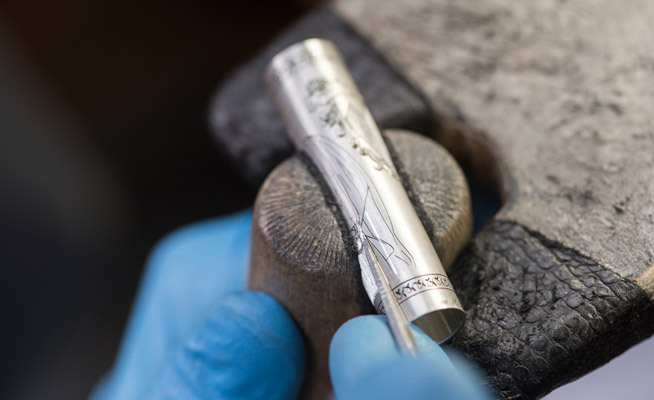 Using ages-old techniques and traditional tools, our craftspersons translate the customer’s chosen image into a pattern to be hand-engraved or hand-painted on both precious metal or resin, at the client’s behest. It is at this exact moment that your pen is transformed into a true objet d’art. From a palette of 24 colours, the client can also select the exact hue which best defines and complements the mood and spirit of his or her bespoke pen. We offer choices that range from earthy tones to primary colours to gem-like mixtures. The pen trim is a matter of personal preference: be it sterling silver, or solid 18k white, yellow or rose gold. 3. Select trim: sterling silver, solid 18k yellow gold, solid 18k rose gold, solid 18k white gold. 5. Select blind cap's colour. 6. The barrel can be either engraved or painted by hand with an image chosen by the client. The configurator allows visualisation of some examples. 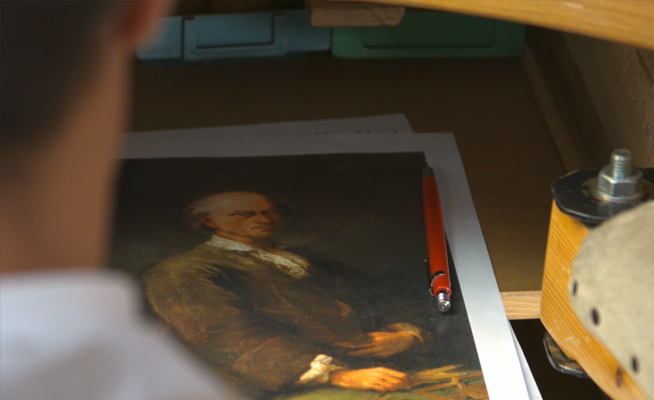 Select one of the four engraved images, if interested in a hand-engraved pen; or select the hand-painted image, if interested in a hand-painted pen. 7. Proceed with the order, by clicking on the BUY button of the Hand-Painted or Hand-Etched version, based on your choice. 8. One of our specialists will contact you shortly to define next steps.